A tour around a typical American neighborhood reveals more “For Sale” signs than ever before. Reports further indicate that foreclosures will crest during the second half of 2010. And even more people now have mortgage loans that are actually higher than the home’s value. All this sums up to one hard fact: in most parts of the US property values are steadily decreasing. Unfortunately, your annual property tax bill does not necessarily reflect this fact. Have you taken a close look at your assessment lately? If not, it certainly is time that you did just that. Many jurisdictions automatically increase property tax assessments by as much as 10% each and every year, regardless of property values. Because most people with mortgages have their property tax bills escrowed they pay little attention to how much the mortgage carrier pays on their behalf. Don’t let this stop you from scrutinizing your property tax bill and moving forward with an appeal. Should the tax assessor rule in your favor, you will likely see reduced mortgage payments in the coming year, which is money in your pocket. While doing some research is not required to state your appeal case to the local tax assessor, it certainly does not hurt. First, take a long look at your bill. It should list the “Fair Cash Value” of your home. If this number seems off the mark, contact the Assessors Office and ask for a detailed assessment of your property. Perhaps they have you listed as a 2-story when your home is a ranch, or they list an attached garage when yours is detached. You may also want to invest approximately $250-$400 and get an appraisal of your property. If you spend this small sum of money in order to get your property tax bill reduced by $1,000 or more it will certainly be money well spent. Further, if you have recently gotten refinanced or signed on for a home equity loan an appraisal would have already been done. Compare that paperwork against your property tax bill Fair Market Value to make certain it is within a fairly close range. Next, make certain that if you occupy the home in question that the Homestead Exemption is taken into account. If you are a senior citizen, be sure that there is also a senior exemption. 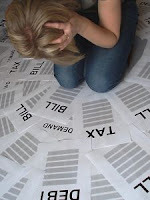 Now that you have determined that your bill is too high, contact your tax assessor either by telephone or email. Explain to them that you would like to appeal your bill and ask them what process needs to be followed. In most cases there is a short form that needs to be completed and sent back to their offices. There should be no need to hire a real estate attorney or other professional to completely this process. In one afternoon and with very little effort you can see a huge return! Astute property owner Jon Soderstrom of suburban Chicago has made it a policy for the past fifteen years to examine his assessment and appeal any undue increases. As Mr. Soderstrom noted, “I just told them there was no increase in property value therefore no increase in taxes was justified”. He went on to proudly announce that he has never lost an appeal.